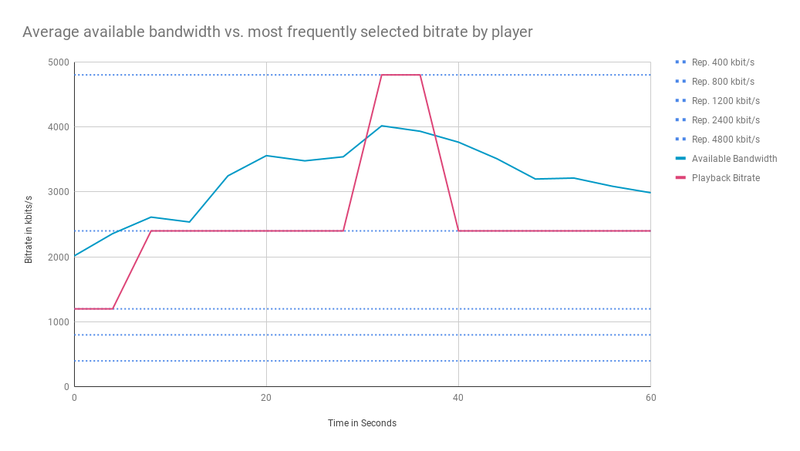 This query returns the available bitrates of the asset with the id "vid-39102-123" which are shown as dotted, horizontal lines in the chart. 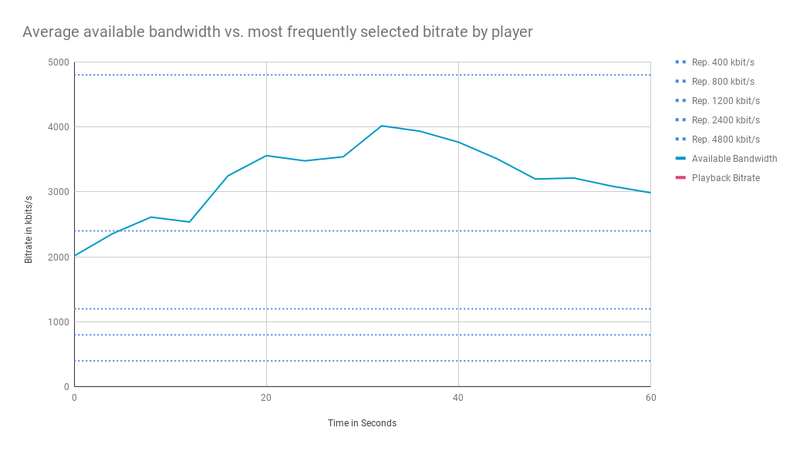 This query returns the average available bandwidth to the user. 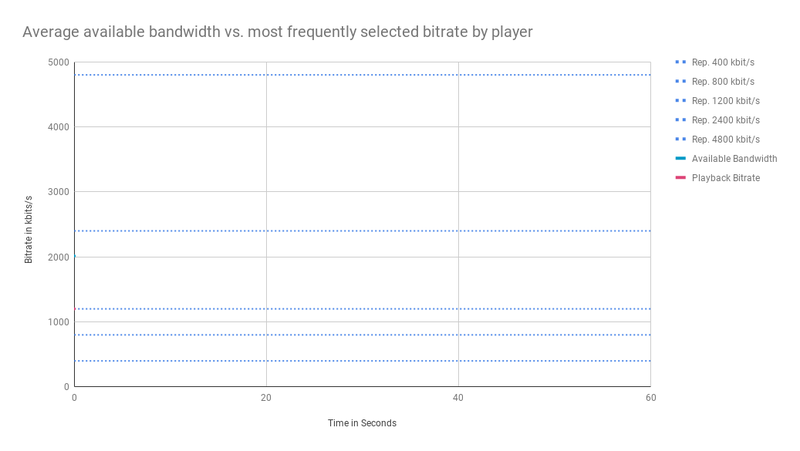 This query returns the playback bitrate chosen by the player. As you can see an additional rendition (e.g. 3.5 Mbit/s) should be added to provide a better QOE.